I had never flown ANA (All Nippon Airways) before, but every single Japanese person that I encountered in the city was so cordial, polite, and thoughtful, that I I had high hopes for the flight. 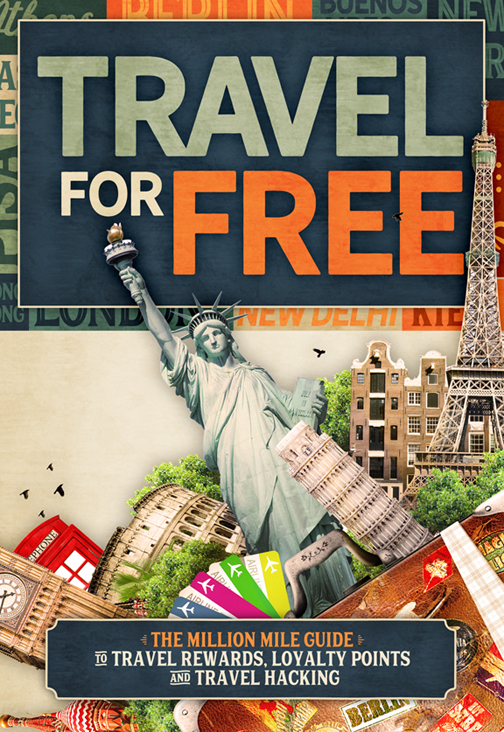 There were some questions at check-in about my visa for India, but after showing an email that granted my visa upon arrival, that seems to quell any issue. After the ticket was issued, I was given a map of the concourse, had my gate and relevant lounges highlighted for me, and was instructed on where I should go. The female ANA agent at check-in was so polite, even bowing to me several times as I was leaving. The ladies working for ANA aren’t exactly tough on the eyes either. Some beautiful ladies in Japan, and ANA seems to have that in spades. 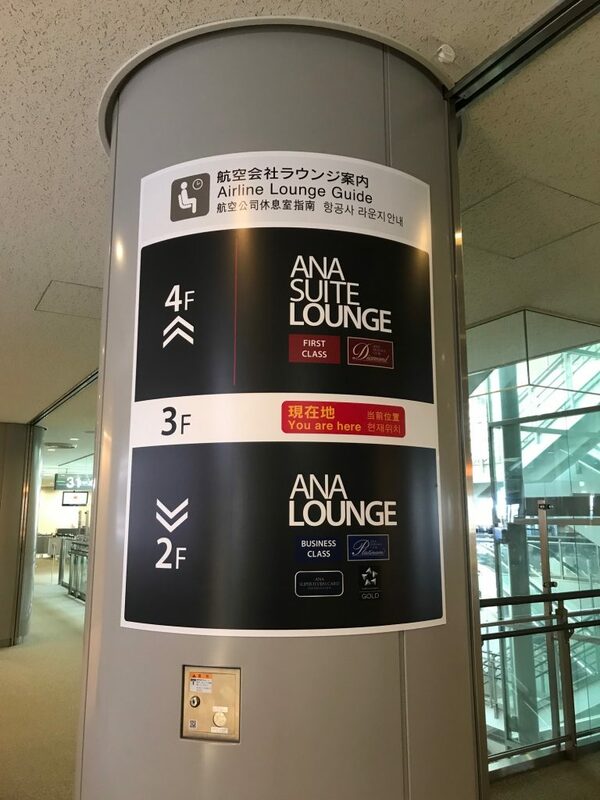 Basically there are 2 ANA businesses class lounges in Terminal 1. The lounge that I visited was directly below my boarding gate, which made things simple. Basically first class passengers have the lounge above the gate, and business class are below it. After passing through immigration and get to get 47, you’ll either have to go up or down the escalator to get to the appropriate lounge (above). 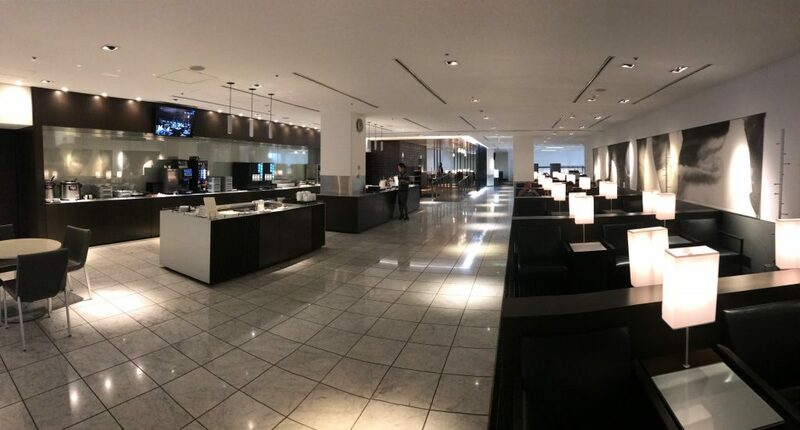 Entering a new lounge in business or first class is always kind of exciting. For me, lounges tend to disappoint more often than not. Varying selection and quality of food, poor service (even attitudes), and over crowding can make for some relatively frustrating visits. 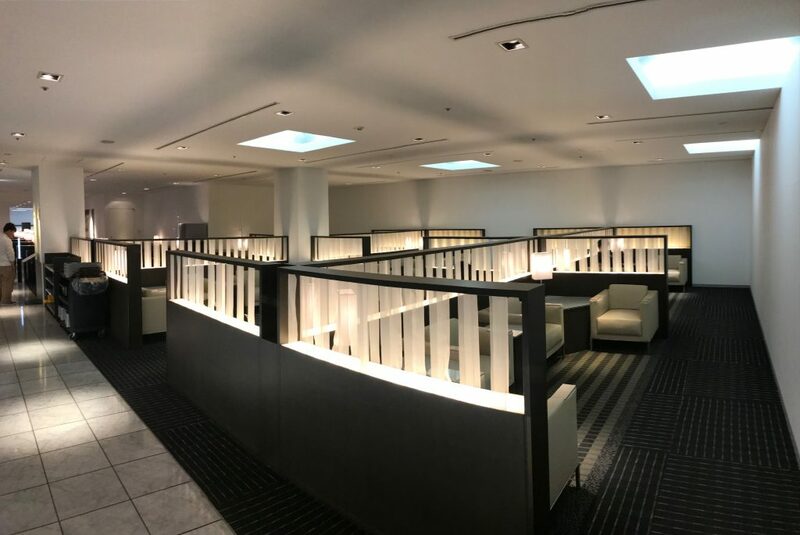 This lounge was nearly empty when I arrived (3 hours before my flight), but 1.5 hours before departure there were announcements about the lounge at full capacity. I consider having access to any lounge a privilege perk, not an entitlement, but by the time the announcements came on, I was ready to leave. 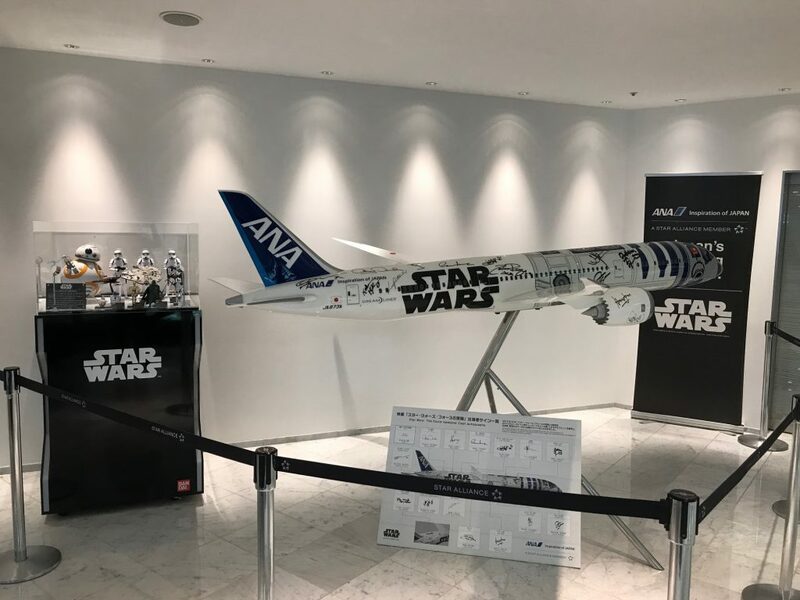 Upon entering the lounge there’s a cool Star Wars themed R2D2 ANA Dreamliner with signatures from movie cast members. Much of Star Wars, from Darth Vader to the light saber, was influenced by Japanese culture so the tribute is fitting. Entering the lounge leads into a sleek and stylish hallway. After walking down the hallway, most of the lounge is located to the persons left as you enter the main room. The sake bar, guest information, and some seating are really the only things on the right side of the room. 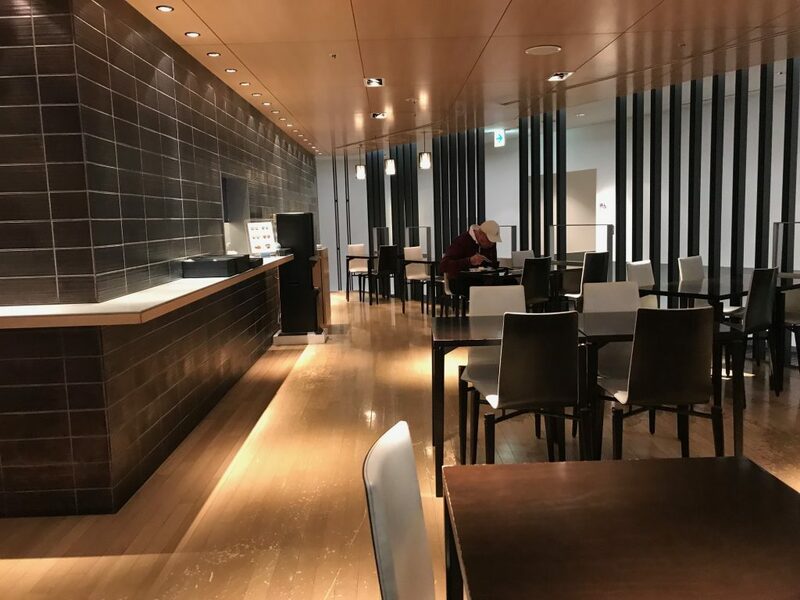 Plenty of space to relax, with normal lounge type seating, but one thing this particular lounge seems to lack are raised tables for eating and for doing work. There are only 4 seats near the Noodle Bar that have tables to do work on. Some people bring their laptops over to the Noodle Bar and use those tables for work. Three sandwich options: vegitarian, egg, and potato. Some yogurt, corn flakes, milk, peaches, salads and salmon fillet take up one portion of the food options. In the beginning there was soup! In this case Miso and Japanese vegetable soup offered with some garnishes. 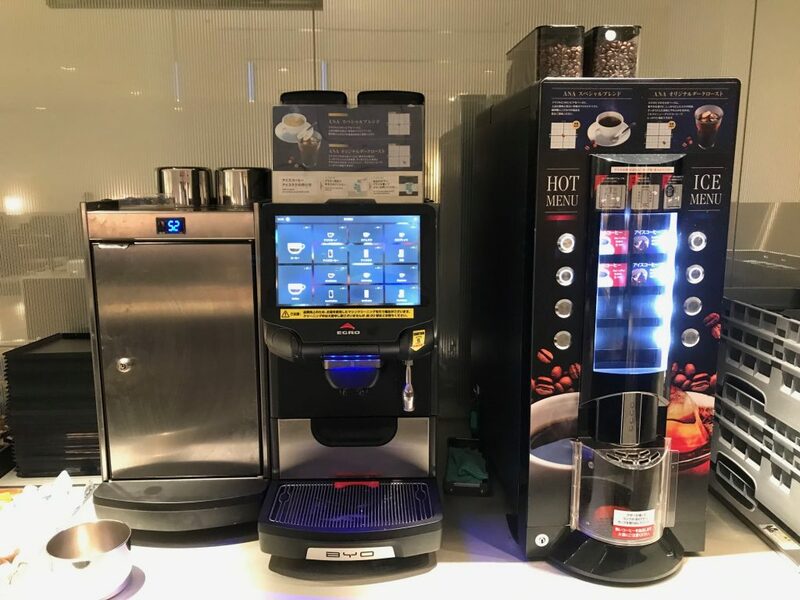 A few different coffee machines. Just wish lounges had larger glasses for tea drinkers like myself. The cups most lounges have are pretty tiny. 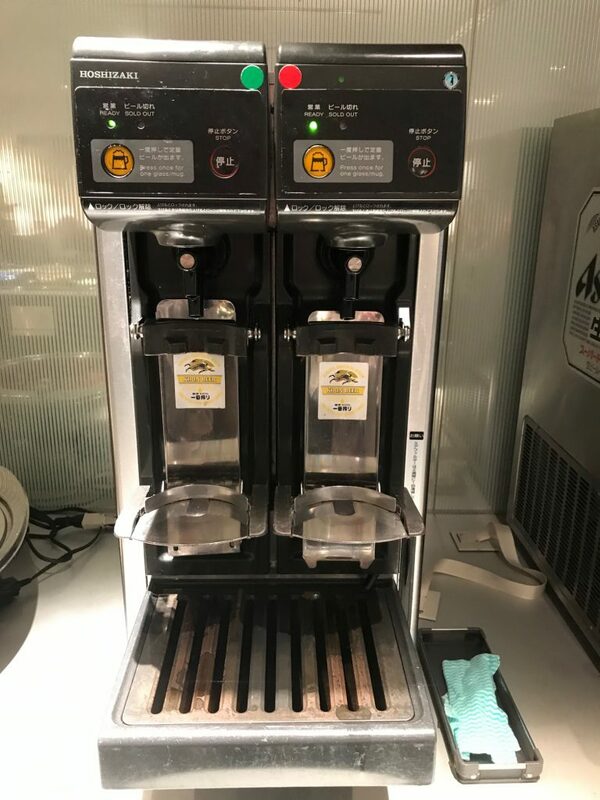 The water and fruit juice machine resembles an old arcade game. 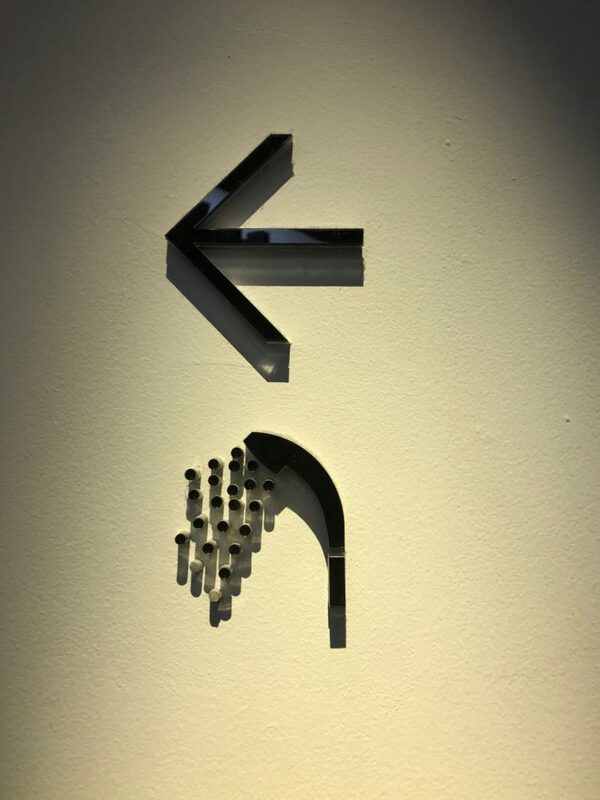 Press a button and hope the liquid flows the the guessed destination. 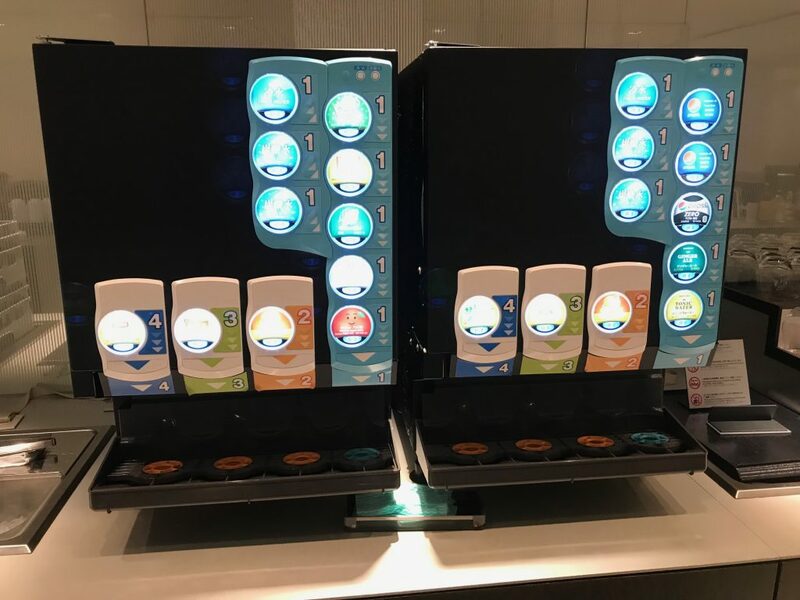 Automatic beer dispensers are pretty cool. I didn’t know what it was until I saw someone fill up beer in one. 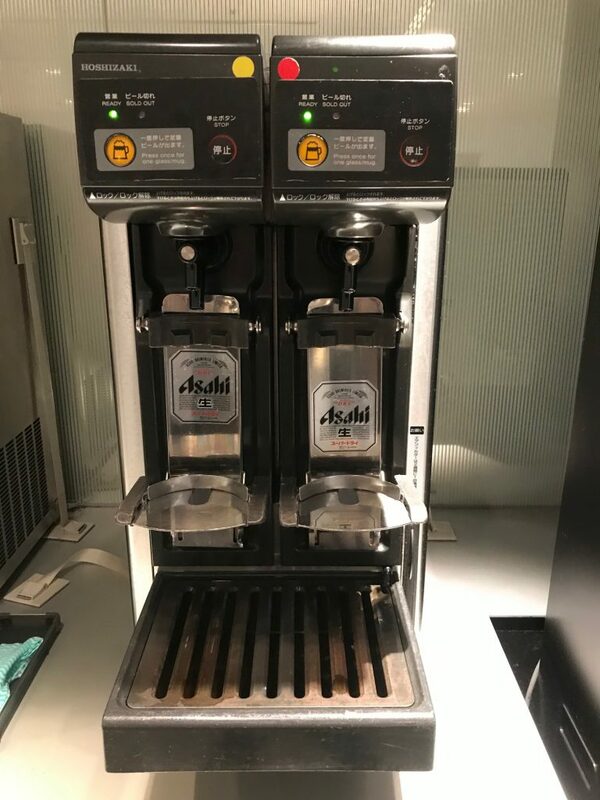 There are 2 machines; one for Asahi and Kirin beers. 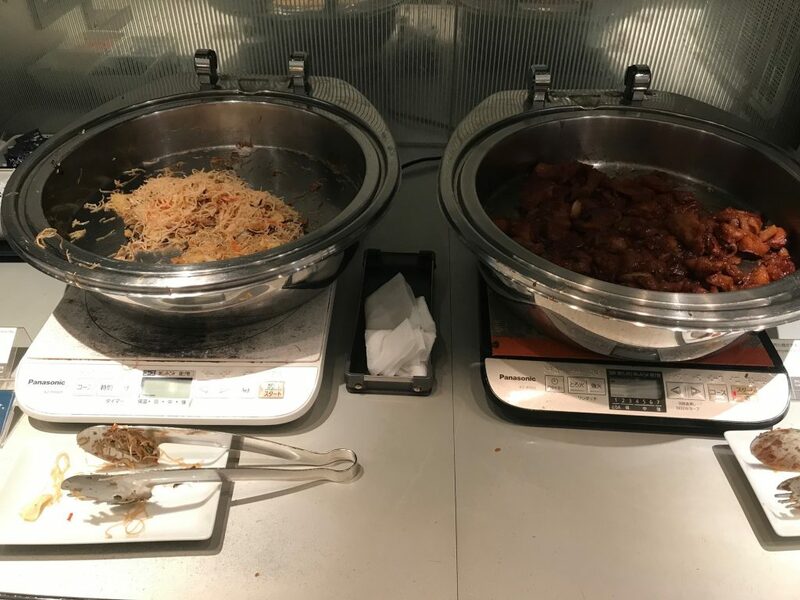 Just a couple of hot cooked food options that didn’t have much temptation for me. Pretty limited alcohol selection in this lounge, but Maker’s Mark can be found readily in Tokyo so life isn’t all bad! There’s also a stand alone sake bar in a different area of the lounge too. 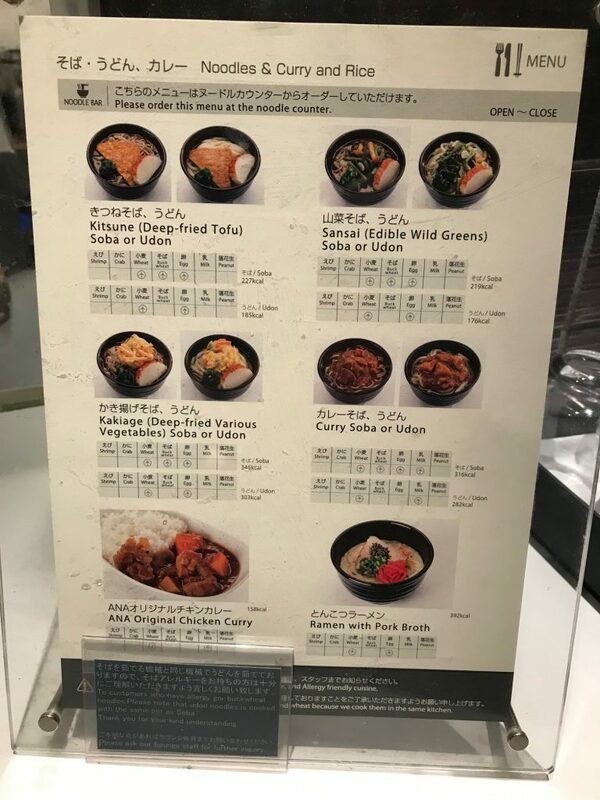 Four varieties of sushi for those interested. 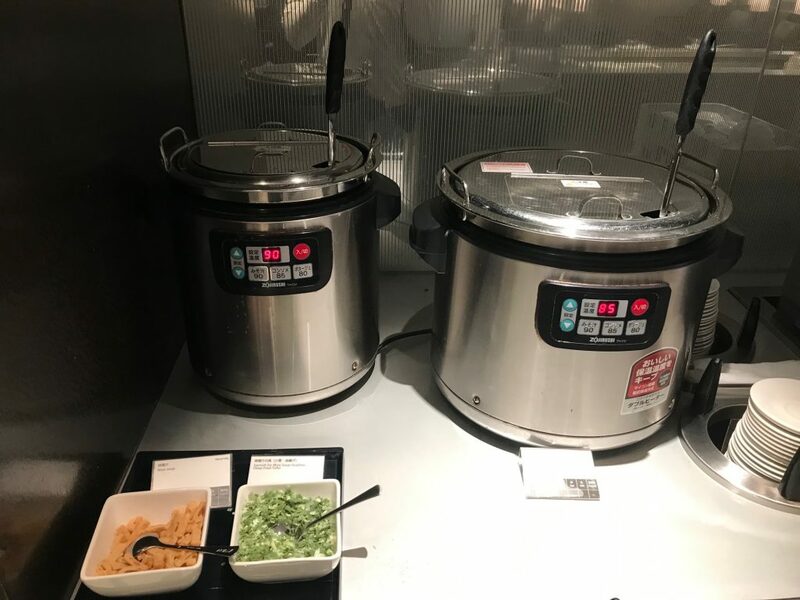 The lounge also has a noodle bar. There’s a small window (below) that you put in an order and guests are then given an electronic beeper for when the food is ready. There are 8 private showers available for lounge guests. Walk past the rest rooms and Noodle bar to get to the shower and massage chair areas. 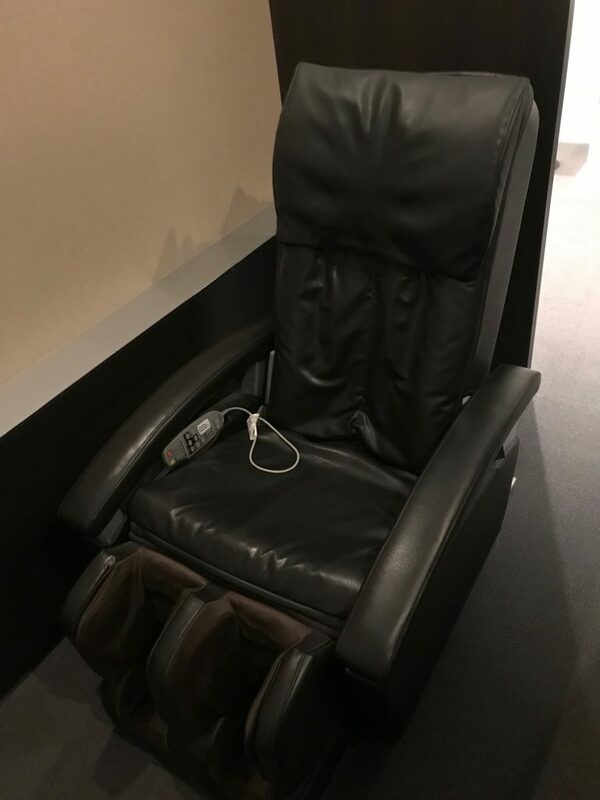 Across from the shower rooms is a nondescript room without labels where 3 leather massage chairs sit seemingly without much use. I used one for 30 minutes and didn’t hear another voice in the area the whole time. The area isn’t really marked at all, but there is a desk assistant near the chairs to guide you through the area and to register guests for shower rooms. 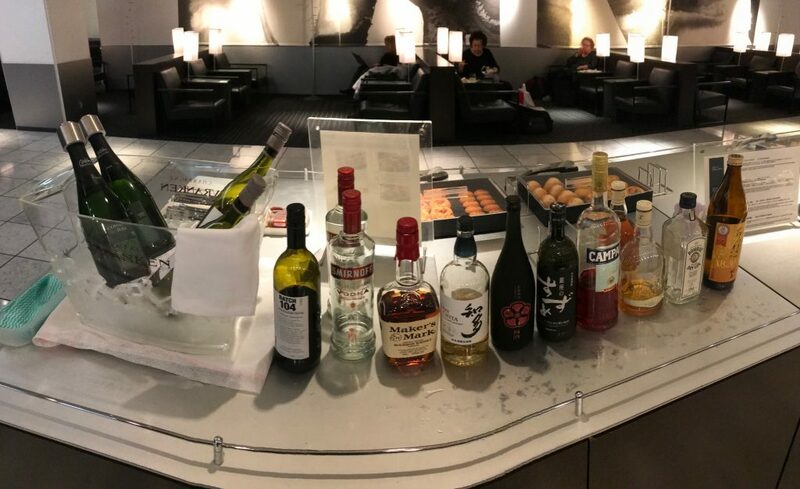 Another cool feature of the lounge is the sake bar. It didn’t receive much (if any) action when I was there from other guests, but I think part of that reason is that it’s kind of hidden. As you walk through the entrance corridor and into the lounge, if you look to your right there is a vacant room area with wood floors that resembles a kitchen and likely won’t have anyone in it. 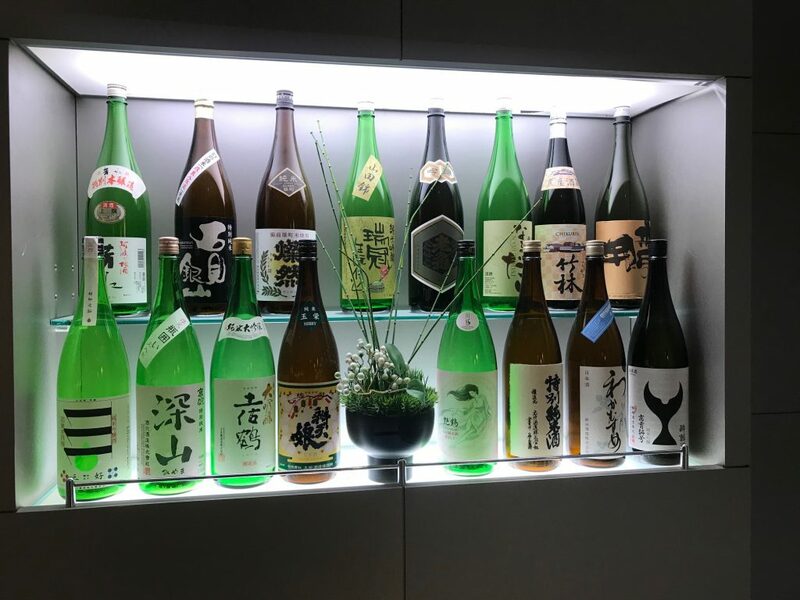 The sake is behind a pillar at the end of the room. You almost have to know that the sake is back there. 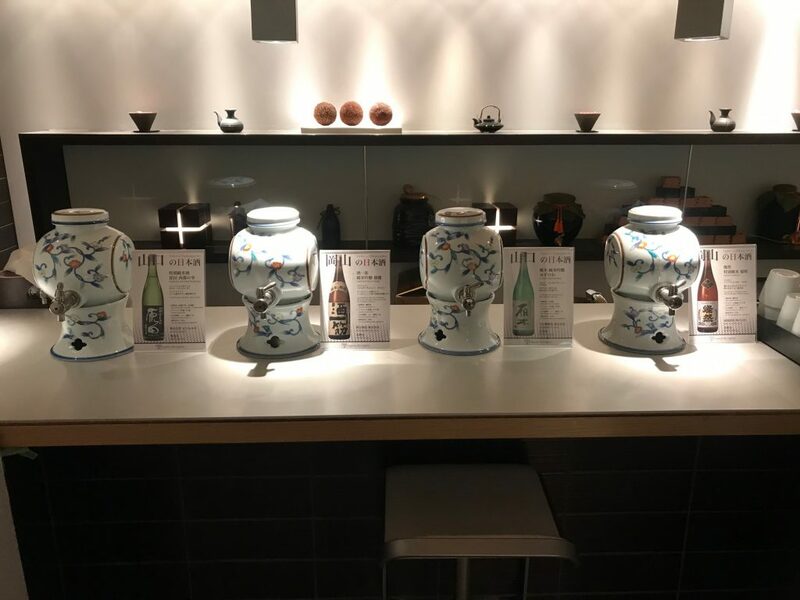 The sake bar has 4 variations of sake for guests. I had some bad booze and a lot of it the night before, so I wasn’t interested in another fermented go around. 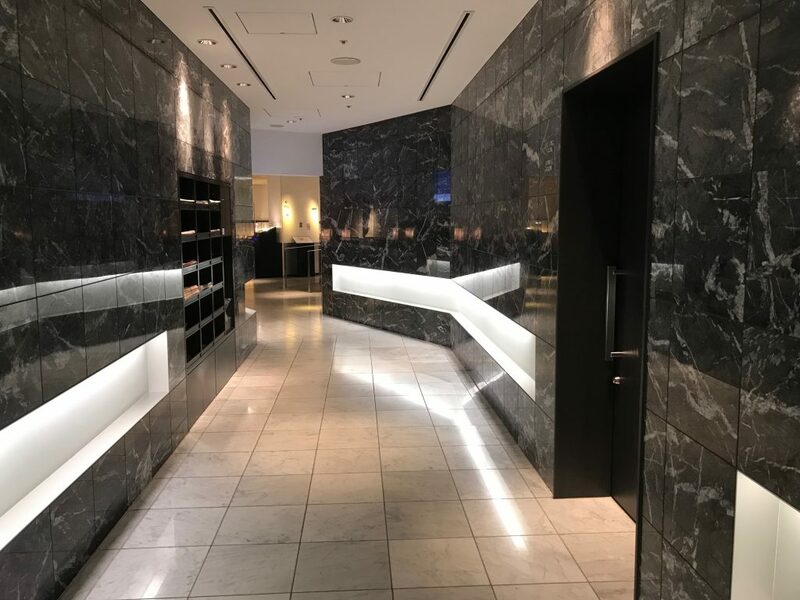 Around the corner of the sake bar is a business center with copy machine and working cubicles. I didn’t realize it existed until after I left the lounge. The layout of the lounge is a bit odd. 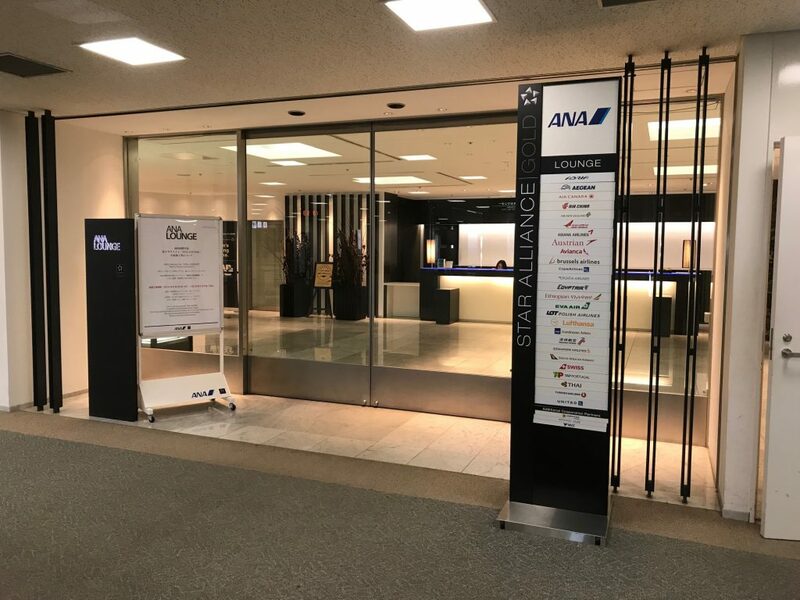 At ticketing, the ANA check in agent recommenced that I visit this lounge instead of the other ANA business class lounge in Terminal 1. In her opinion it was “better” than the other one. However, looking through a post about the other lounge, I’m not sure it really is better. 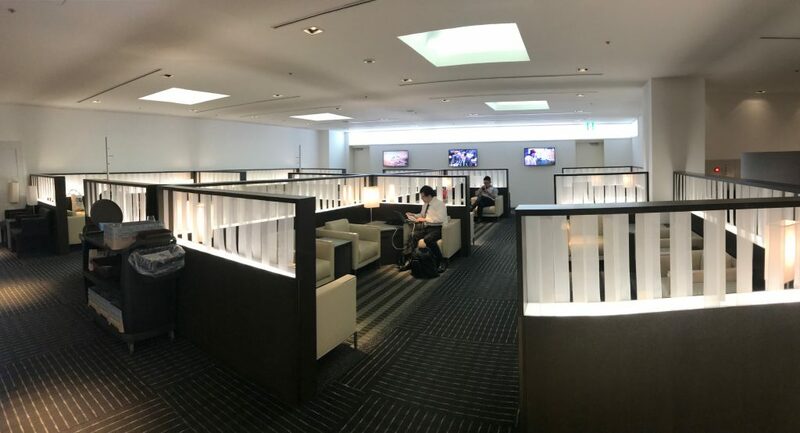 The other lounge seems to have integrated work areas, a smoking room (I don’t smoke), views of the run way and departing planes, more varieties of seating, and private rest suites. There’s also a small ANA shop for those interested. The lounge I visited does have reclining massage chairs, but I’d trade that for integrated workspace. I don’t really like Asian food, so the food options here were very limited for me. 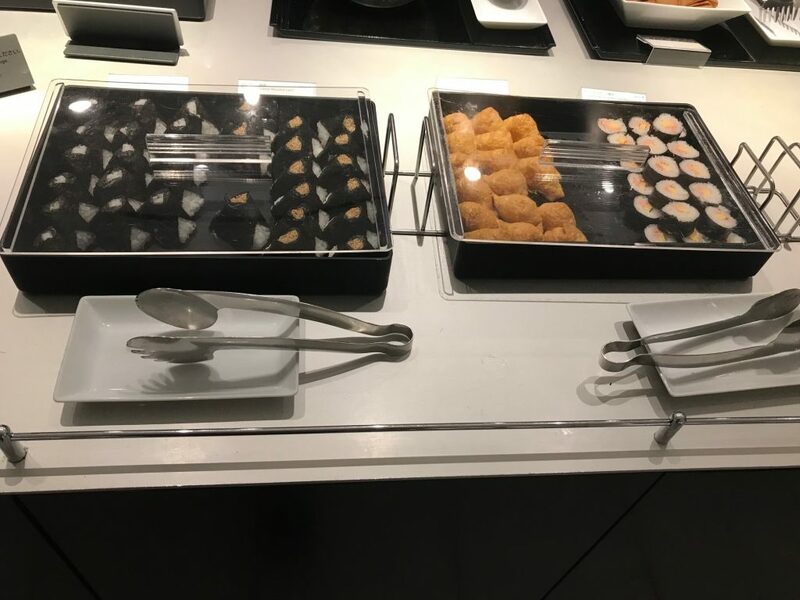 There also weren’t any desert options, which was kind of odd. One of the workers brought out some individually wrapped chocolate pieces when I asked about desert options, but other than peach slices, there weren’t other deserts available. 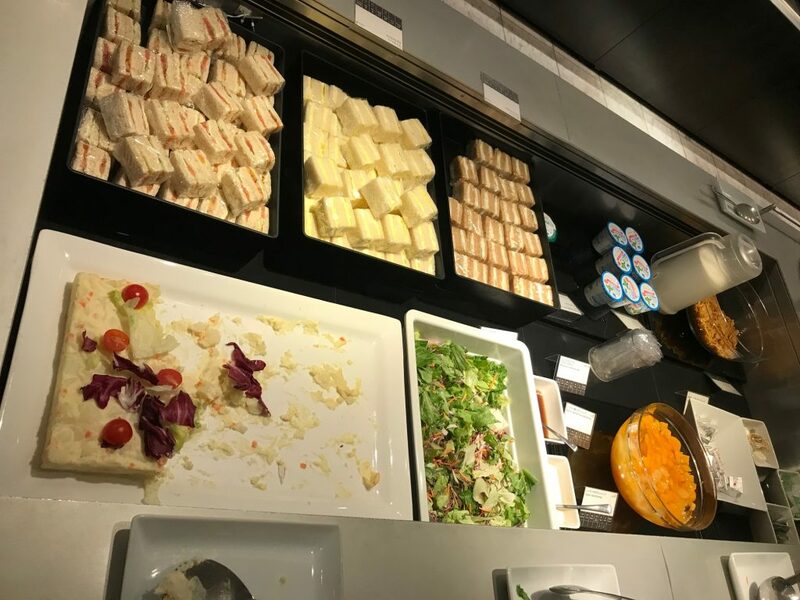 I expected a bit more from the ANA business class lounge than was provided. I had hoped for more and better cooked food options and more integrated space for laptops and work. I don’t remember seeing a television in this lounge either. However considering the proximity to my gate and overwhelming politeness of the staff, the experience was satisfactory.